During Home is where the artist I made a lot of sketches that I didn’t work into a painting directly. This painting is after a sketch made in may 2015 in Soesterberg, the coat rack in the pantry. 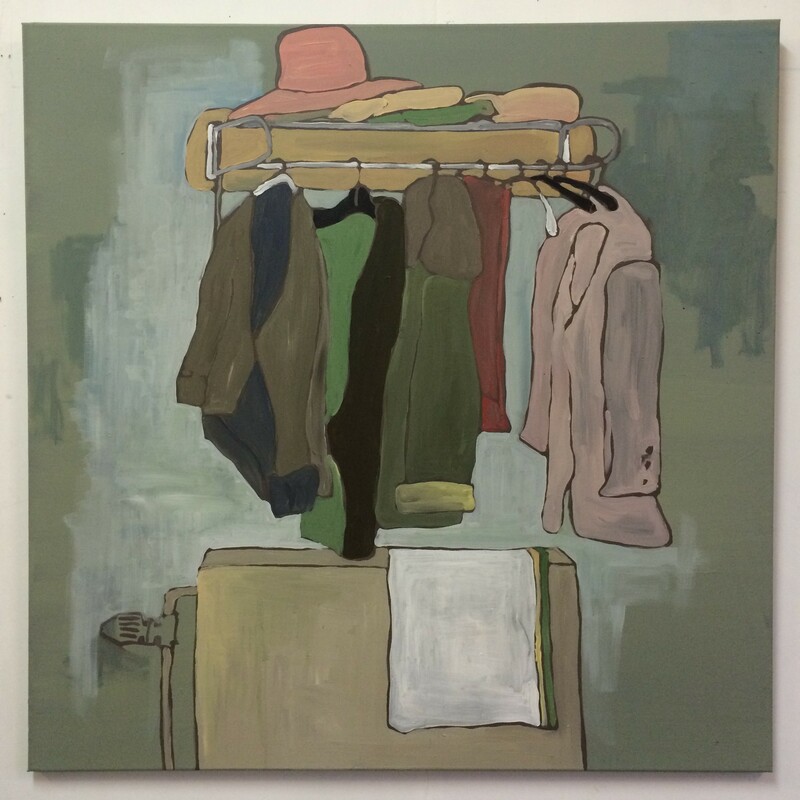 Coatrack, acrylic on canvas, 100×100 cm.